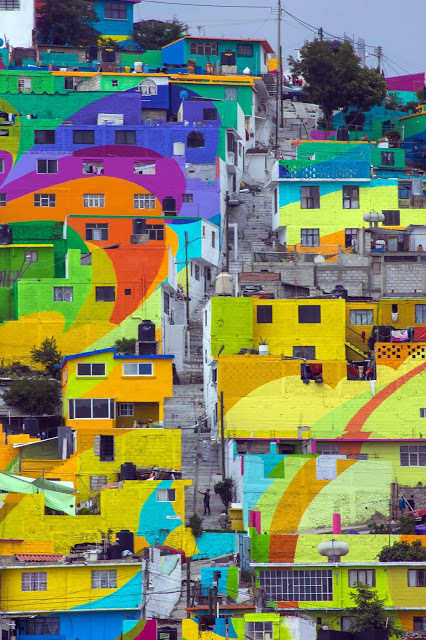 Yet another city Palmitas which was a city of violence is a now a city of vibrant colors. 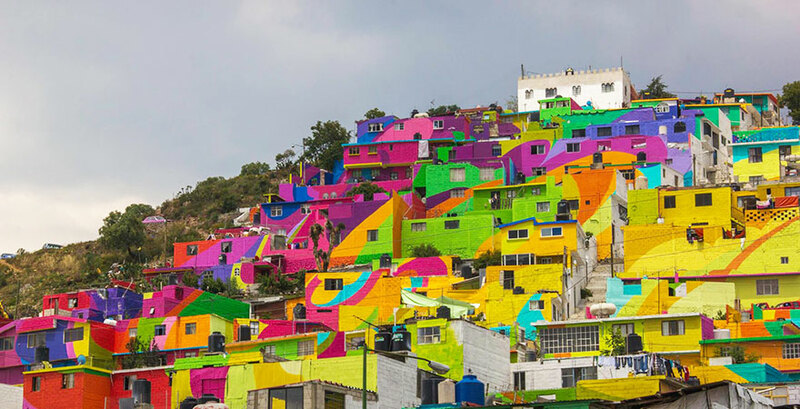 The Mexican government has joined forces with a youth organization to rehabilitate a town in Pachuca district, Palmitas. The organization who calls themselves the ‘Germen Crew’ uses graffiti to express their thoughts. 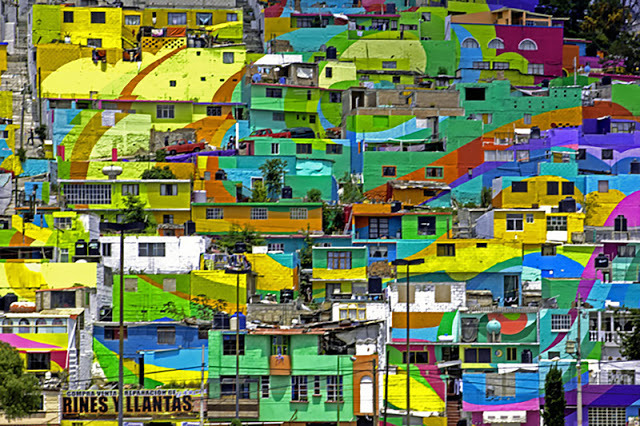 With the group’s efforts, over 209 houses have been transformed into a life size rainbow mural covering twenty-thousand square meters of façade. The streetartnews reported that 1808 people or 452 families inhabiting the town were impacted by this project. This macro street mural not only offered several jobs for the youth but also eradicated youth violence which was prevalent in the area. 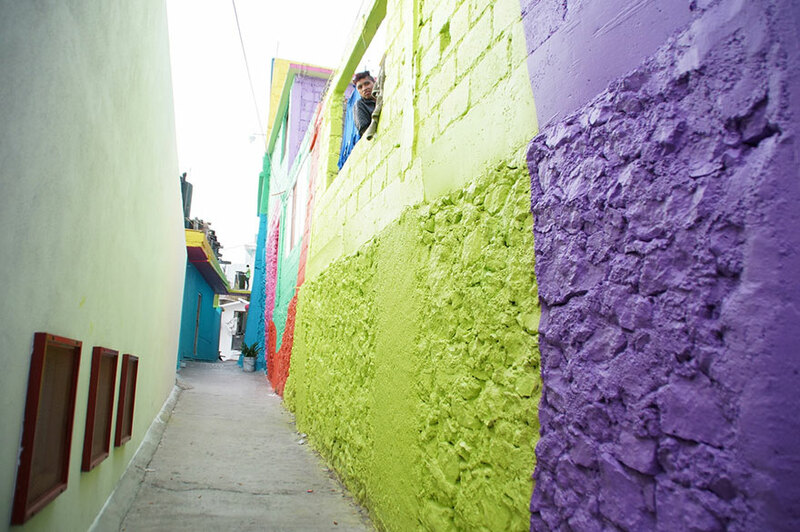 The painting job took 5 months to beautify the city. 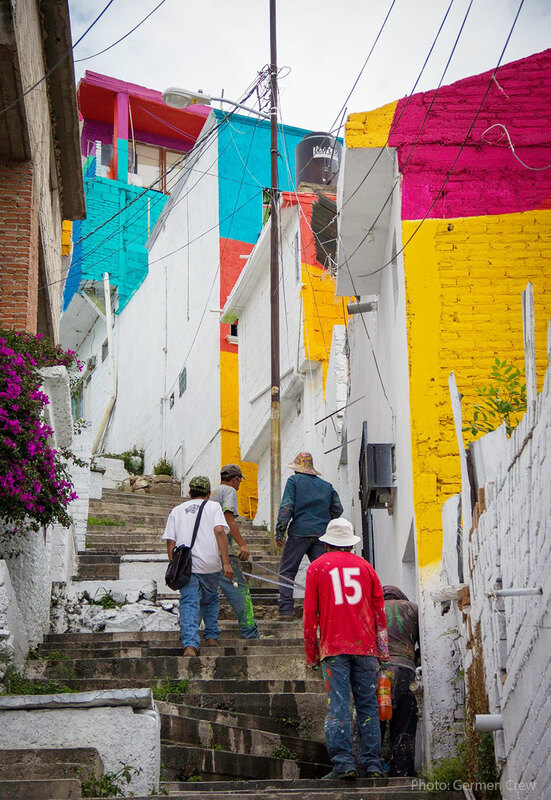 The group wth 13 years of experience in communicating through murals and graffiti, aims to create a sense of belonging and strengthen Mexican culture. 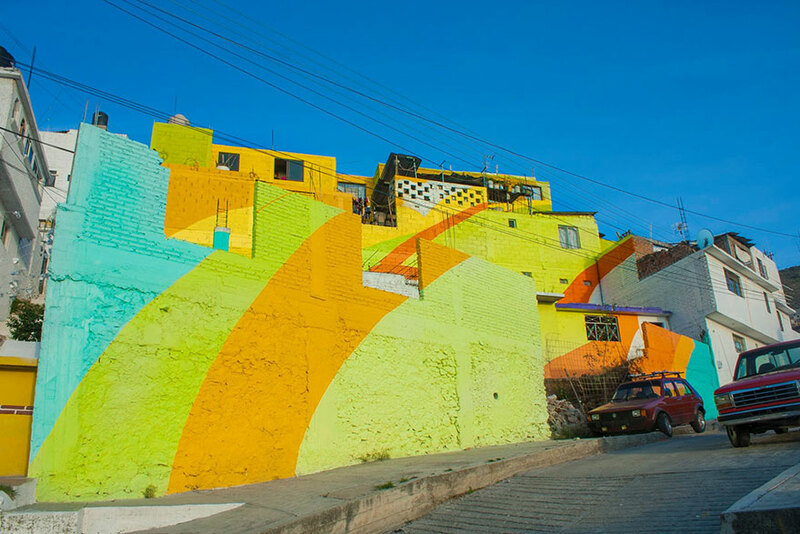 The crew’s spokesperson Luis Enrique Gómez Guzmán gave an interview to “The City Loves You” and explained that the macro mural was intentionally painted on a irregular surface, spanning twenty thousand square meters. Its aim was to depict a community that is gradually built on economy and architecture. He also mentioned that it was a herculean task to complete this project; its purpose was to create an expression that brings about a uniform fusion of architecture, art, community and history by connecting to the residents with a new dialect of art. Check out this video of the Germ Crew painting the town rainbow.